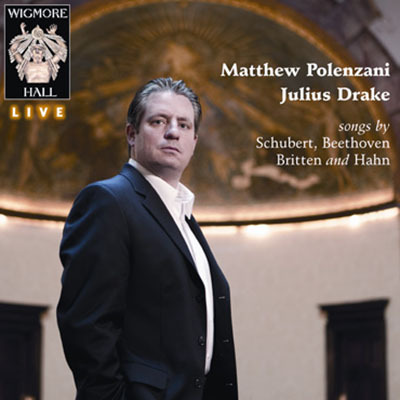 Wigmore Hall Live’s unrivalled reputation for capturing the world’s best song recitals is continued in its forthcoming October release from the distinguished lyric tenor, Matthew Polenzani. Often referred to as one of the most gifted and distinguished lyric tenors of his generation, Matthew Polenzani has been praised for the artistic versatility and fresh lyricism that he brings to concert and operatic appearances on leading international stages. He has performed, among many others, opposite Renée Fleming, Anna Netrebko and Diana Damrau, and under the baton of Lorin Maazel, Pierre Boulez and Riccardo Muti. He will shortly be performing at Covent Garden in ‘Don Giovanni’. In this, his debut Wigmore Hall recital, Polenzani brings together the works of Hahn, Beethoven, Britten and Schubert, including ‘An die ferne Geliebte’ and the ‘Seven Sonnets of Michelangelo’, alongside leading piano-accompanist, Julius Drake. Composed in April 1816, ‘An die ferne Geliebte’, opus 98, is Beethoven’s only song cycle. Also appearing on the release are five examples of some of Schubert’s most-loved works, composed in the great age of song. Britten’s ‘Seven Sonnets of Michelangelo’ and are given added poignancy as they are said to represent a thinly-veiled expression of Britten’s affection for Peter Pears. Finally, the album features Hahn’s album of songs, ‘Venezia: Chansons en dialecte vénitien’. Described by the composer as both “light and melancholy”, they received their premiere in Venice, 1901.